Hong Kong, a former colony of British Empire and now one of the world's most significant financial centers competing with London and New York. City-state that is considered the tallest urban agglomeration with its skyscrapers being the city icon. Moreover, the majority of the world's 100 largest banks are present here due to high degree of economic resilience and top scores of business and financial trade freedom confirmed by Hong Kong's position #1 in Index of Economic Freedom 2017. In addition, according to Human Development Index ranking, Hong Kong holds 12th place (in comparison to Ukraine's 84th) as well as has one of the world's longest life expectancy. A bright futute I would wish for Ukraine. Remarkably, 4 decades ago, Hong Kong was one of the most corrupt cities with especially high scale of open and well-organized corruption in public sector, particularly among law enforcement agencies, where to "repay" for service was a historical custom; corruption was widespread and syndicated since traditioanlly regarded as "way of life". Nowadays, Hong Kong is one of very few successful examples of turning corrupt place into clean one and it proves that corruption can be effectively reduced and controlled, no matter how serious and widespread problem is. So which lessons could it teach Ukraine? 1) prevention (analysis of processes and procedures in public sector, indentification of the opportunities for corrupton, and provision of recommendations to plug loopholes). Hong Kong adopted comprehensive legislation to deal with corruption. In terms of offences, apart from normal bribery offences, it made illegal offence for any civil servant to be in possession of assets disproportionate to official's income or living above means. Furthermore, Hong Kong established Independent Commission Against Corruption (hereinafter - ICAC) accountable to the Governor. ICAC, whose employees were granted quite high salaries, not only identified bribe takers, but also engaged in prevention of bribes in areas most prone to corruption. 2) deterrence (investigation of corruption and prosecution of offenders). Effective deterrence strategy is achived by public complaint system operating around the clock, confidentiality and protection of whistle-blowers and witnesses to facilitate public reporting. Moreover, officials were obligated to prove that everything they posess was acquired legitimately, otherwise facing severe punishment (property confiscation and imprisonment up to 15 years). 3) education (promotion of public awareness of corruption evils and enlisting support of entire community in fighting corruption via wide range of public education strategies, including exhibitions, fun fairs, TV commercials, drama series, reality shows and even youth zone to spread message of clean society). Anti-corruption education in Hong Kong starts at kindergartens and continues up to universities, where characters present children ethical dilemmas and stories where honest characters always win. Moreover, Hong Kong started using such tool as media education TV shows and commercials to promote anticorruption already 40 years ago, featuring popular actors in stories based on real cases and also raised public awareness and promoted public discourse on anticorruption. Two generations after adopting approach against skirting rules there's evidence of major cultural shift in attitude of local population. As result, tolerance level to corruption of people in Hong Kong measured from 0 to 10 (where zero means total intolerance and 10 means total tolerance) - for the last decade average index was below 1 (0,6-0,7) that means in Hong Kong people are immune to corruption. Thus, Hong Kong that had corruption-friendly culture in the past, provides a remarkable example to Ukraine. Hong Kong's experience proves that through effective public education campaign and law enforcement, this cultural problem can be solved. Ukraine will not reform until the attitude of the majority of Ukrainians towards patronage and corruption changes to corruption intolerance. The crux of the matter is not about eliminating corruption, but also containing its further spread and minimising its impact. 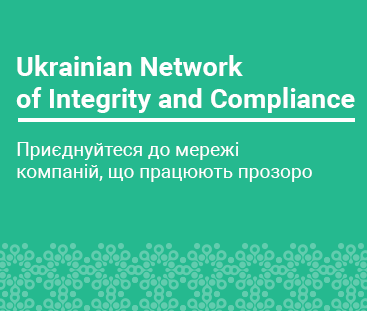 Hong Kong's experience in anticorruption education and promotion efforts as well as corruption prevention and deterrence, need to gain popularity and sympathy in Ukraine especially among younger generation. Changing endemic corruption norms is hard and one of keys to success is to reduce younger generations’ tolerance of corruption. That is why it is especially important to use popular tools that appeal to younger audiences. Furthermore, anti-corruption crusade will not achieve a significant breakthrough until the society understands importance of ethical behaviour to help further development of rule of law and ethical behaviour. Olga Burlachenko is attorney-at-law admitted to the bar in Ukraine and Czech Republic. Prior to her current job in leading Ukrainian state oil and gas company, Olga worked as senior in-house counsel in Austrian and Czech companies and as a senior associate at top tier Ukrainian law firm. Olga graduated from the law faculty of Kyiv-Mohyla Academy.